Hey everyone! So four months into the year, I've got some ideas for spicing up (pun not intended) the takeout on this blog. Answer 8 simple MCQs for improved future food! Last month, many of you seemed excited to see my revisions process, so here's another video of me revising! (Okay, I didn't really have a choice, since I spent the entire month revising. Ha, I'm so funny.) This month's revisions were a lot more difficult than I'd expected -- it took me 45 minutes to revise 5 pages, so I sped it up by a lot here, a whopping 15x. Also, minor problem: I'm running out of Star Wars music to use. Okay, that's not so minor. Hopefully, when Episode 7 rolls around this Christmas, I'll have a couple more tracks to use -- but in the meantime, what music should I use? It's up to you guys! Psst, a heads-up: I think this round of WTA revisions is nearing its end (even though I'm revising the first pages in the vid, ahaha), so newsletter subscribers will be receiving a very special invitation in about two weeks. 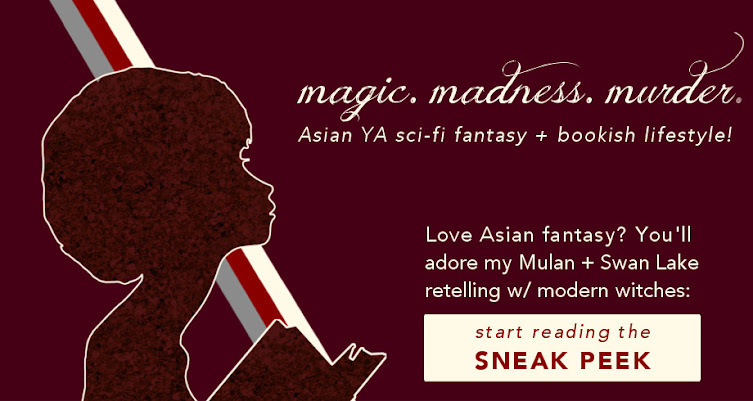 Don't miss out on this and join the mailing list — I probably won't put out an open call on the blog for this! Help! Suggestions for #WatchMeWrite music tracks? As usual, it was fun watching you write. :) For music, you could try other soundtracks that you like, like Interstellar, Inception, etc. The Theory of Everything has a lovely soundtrack, too! I'm glad you liked it, and I'll be sure to keep them coming! I have yet to watch The Theory of Everything, but it sounds fabulous and I shall. Interstellar has been raised below as well, so chances are I'll go for that next time! That was entertaining. :D I kept pausing to read your writing (oops), and I must say you write like a pro! I've never been able to write a whole novel before, let alone edit it, but maybe I'll give it a go (idk I'm feeling inspired). I'm glad you liked it! And you're too kind :) No oops whatsoever; that's about the highest praise I could hope to receive. And I'm glad I managed to inspire you; as they say, I aspire to inspire. May the words be with you! In no particular order: anything by Tchaicovsky (though some of his stuff might be a bit too sugar-and-spice for you, he also does some very grand and magnificent things), the Interstellar soundtrack (actually, make that allllll the Hans Zimmer), the LOTR soundtrack, Carol Rosenberger's Disney instrumental adaptations, etc. *munches chocolate* Hang on, you've just made me hungry. Let me grab food and come back. The video didn't like me and didn't play, so I'll just go sulk in my corner and whisper mean things to my computer since obviously it is to blame. LIFE IS UNFAIR. *ahem* Also editing is killer. I've spent like hoooours on a page before. Mostly just staring at it, crying, thinking of a career as an Oompa Loompa or something instead of a writer. Oh, dear. So sorry about that. I'll remember to put a "open in new tab" link next time -- I would totally use Youtube or Vimeo, but one has horrible quality and the other doesn't like me. Revising can take forever...I'm on the fourth draft of a short story and it's only just starting to come together (I hope). If you're looking for new music, Inception has a great soundtrack. Good luck with your revising; your videos are always so much fun to watch! Your writing is fantastic! Well done Alyssa. Revising your wring can be terribly tedious sometimes, trust me. I get it. But in the end, we gotta do it right? I mean, as long at the outcome is a good, well written novel, I don't mind revising.